Join us for an evening of Partnering for Transformation with our friends from the Wood Solutions Conference and the UNECE Committee on Forests and the Forest Industry (COFFI). This networking reception requires advance ticket purchase through the Wood Solutions Conference page. Tickets are $20 plus taxes & service fee and include hors d’oeuvres and one-beverage ticket. This is sure to be an evening of hands-on fun as you put into practice what you have learned at day one of the Passive House Conference! Hosted by BCIT at the High Performance Building Lab, this evening will be filled with PH fun! Participate in a Window Installation Race, try your hand at creating an air tight vestibule, or take part in our Thermal Bridge (heat conduction) contest! These hands-on activities will take place at the BCIT High Performance Building Lab Demo Night. Advance ticket purchase is required – deadline to register is October 24th. Tickets ($40+tax) include dinner & wine and transportation to and from the convention centre. A big thank you to our sponsors Roofing Contractors Association of BC (RCABC). Tickets for the above the BCIT social may be purchased at the time of conference registration. If you are registered for conference, you can log back into your registration profile to purchase tickets (Hint: use your conference registration email to log back into the system). 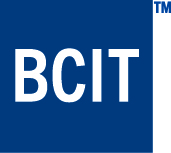 If you are not attending conference you can purchase tickets for the BCIT social by clicking here and selecting “Social Attendance Only” on the registration page.